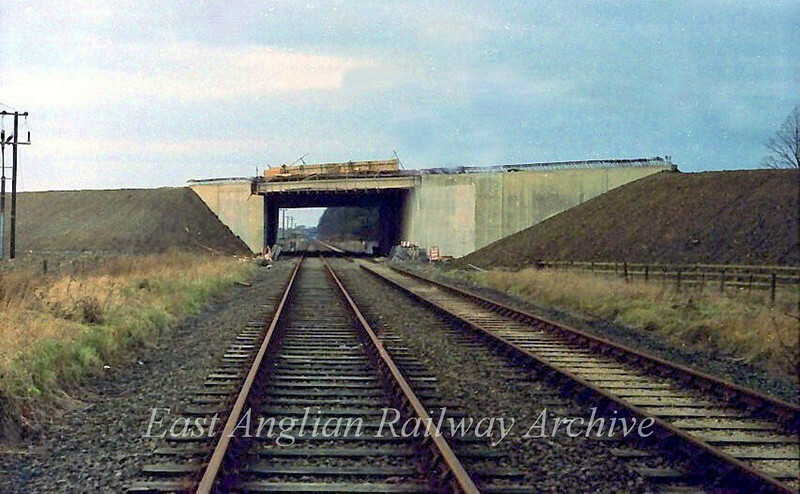 The construction of the A14 Bridge. The view is towards Histon on 27th December 1977. It will be another year before the A14 opens. The bridge here was constructed with sufficient clearance to allow for potential electrification. An idea which of course didn't materialise.